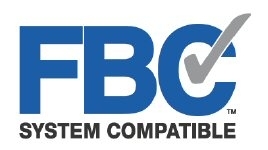 FBC™ System Compatible indicates that this product has been tested and is monitored on an ongoing basis to assure its chemical compatibility with FlowGuard Gold®, BlazeMaster®, and Corzan® pipe and fittings. FBC™, FlowGuard Gold®, BlazeMaster®, and Corzan® are licensed trademarks of the Lubrizol Corporation. Phoenix 27-XL effectively lubricates pipe and pipe gaskets for safe and efficient assembly of all types of pipelines, especially potable water pipelines. Phoenix 27-XL will not leave residue. Phoenix 27-XL is certified to meet NSF/ANSI Standard 61 for potable water pipelines. Made without petroleum, Phoenix 27-XL will not swell gaskets. Phoenix 27-XL is a non-hazardous lubricant made from a biodegradable blend of soaps and lubricity enhancers. Mating of abutting pipes forces the paste into the cavity, thus providing the needed lubrication to complete coupling and seal the joint. The soap-based lubricant does not dry out when gaskets are stored in sealed plastic containers or bags. Phoenix 27-XL maintains its soft, creamy paste consistency and off-white/tan color. Formulated to perform in a wide temperature range, Phoenix 27-XL can be used from -10° to 150°F. Phoenix 27-XL can be used on all types of pipe including asbestos cement, cast iron, concrete, plastic and clay pipe. It will not deteriorate natural rubber, synthetic rubber or plastic gaskets. Phoenix 27-XL is certified to meet NSF/ANSI Standard 61 for potable water system uses. Both JTM and NSF use strict analytical standards and formulation consistency to assure production of a safe lubricant for water pipe joining. Phoenix 27-XL will not impart taste, color or odor in pipelines flushed in accordance with recommended AWWA procedures. Phoenix 27-XL utilizes environmentally friendly raw materials common in the soap and lubricant industries. It will not irritate the hands and is not toxic. It can be cleaned using warm water and soap. 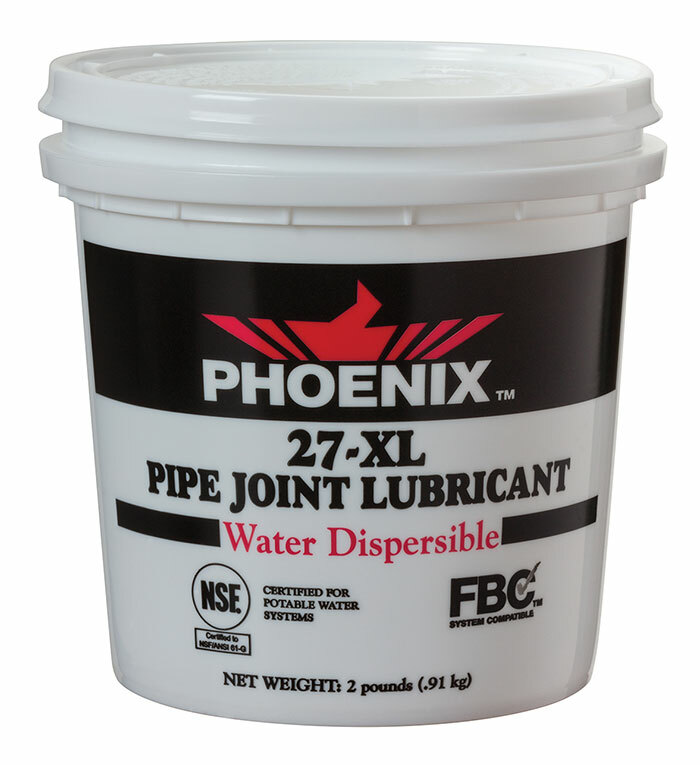 Phoenix 27-XL Pipe Joint Lubricant contains no petroleum oils or phosphates.